Like the alien craft that dramatically landed on Horsell Common in H. G. Wells’ War of the Worlds, Earthship Brighton at Stanmer Park was built for little green men. Environmentally ‘green’ obviously! 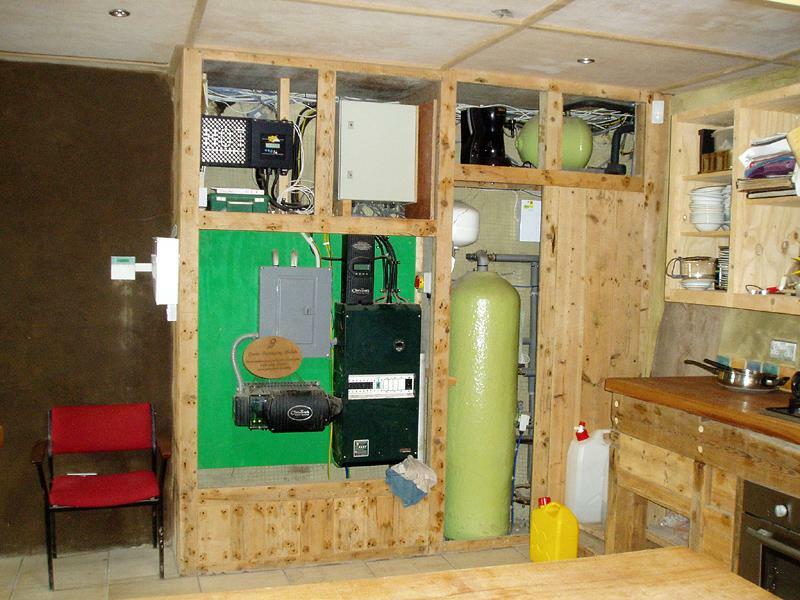 In a nutshell, ‘Earthships’ are eco-buildings that are constructed in a particular fashion to embrace several key concepts. Car tyres, rammed full of a locally available material by hand with a sledgehammer, are used as the principle structural material. The thermal mass of the tyre walls carefully balanced with passive solar heating allows the temperature to be regulated easily throughout the day and, indeed, the year. Energy from the sun is used to produce electricity and heat water. Water is, as one might expect, harvested from the rain. The aim is ultimately to be non-reliant on local utilities and, therefore, be self-sufficient. The design is constantly evolving and stems from the first Earthship that was built over thirty years ago in New Mexico by Michael Reynolds. The UK’s first Earthship opened in 2004 at Kinghorn Loch in Fife, Scotland, and was built by Reynolds with local partners. 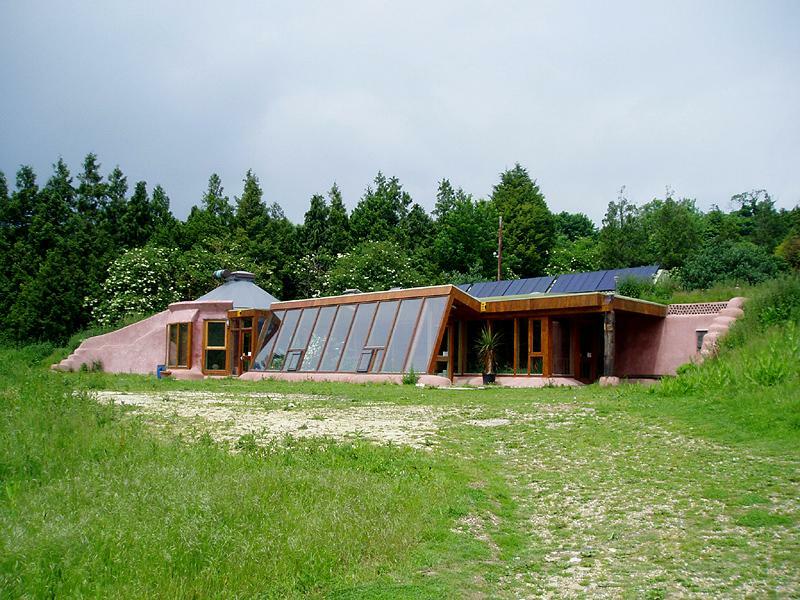 Earthship Brighton opened in 2005 and this time Reynolds worked with the Brighton-based Low Carbon Trust. Interestingly, chalk – a locally-sourced material – was used to fill the tyres. It was the Trust’s first project and the client was Stanmer Organics, a consortium that leases an allotment-style 17 acre site from Brighton & Hove City Council. During my tour of Earthship Brighton, it was quite clear that I had stumbled upon something out of this world but I couldn’t help but question why it had actually been built. Was it pure folly? It was built in an extremely inaccessible location after all, tucked away off a long track behind Stanmer House. Well, it serves principally as a community centre for Stanmer Organics and is well-used, I’m sure. Its greatest service, however, is the way in which visitors can learn from its alien technology – like the Americans did at Roswell. From the conscientious recycler to the master builder, everybody can take an idea away. This alone makes the project worthwhile. There are plans for more Earthships in Brighton. Sixteen Earthship homes are planned for the cliffs above the Marina. During the forthcoming weekends of 28th/29th June and 5th/6th July, fourteen buildings around Brighton & Hove with sound eco credentials, including the Earthship, will be opening their doors to the public. See www.ecoopenhouses.org for details.